Imagine waffle biscuit with chocolate; then covered by milk chocolate. That's a Kexchoklad Snack Sized Mini Bar! There are 12 snack sized bars in a bag - 156g in total. Yummy! Kexchoklad Snack Sized Mini Bars are always fresh and priced right at SnusCentral.com! 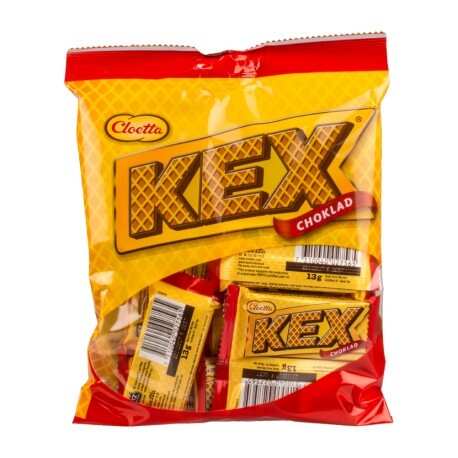 There is no tobacco in any of our yummy Swedish candy. Buy snus from our huge, fresh Swedish snus selection if you are looking for tobacco!